The downfall of Carlos Ghosn, once idolised as the globe-trotting genius who turned France’s Renault SA and Japan’s Nissan Motor Co. into the world’s biggest automating alliance, is turning into a tale of back-stabbing politics, corporate self-interest and excessive greed worthy of grand opera. It’s hard to see how anyone comes out of this looking like a hero — and that goes for Renault and Nissan, too. The story so far goes something like this: Act I saw the shocking arrest of Ghosn at the hands of the Japanese on allegations of financial misconduct, including using company funds for personal investments and misusing corporate assets, which bore the hallmarks of a palace coup against France’s dominance. Act II saw Renault and Nissan agree to patch up their differences and move on from the Ghosn era, with the blessing of their political paymasters in Paris and Tokyo. Act III, still underway, is a drip-feed of lurid allegations of excess under Ghosn’s tenure — corporate jets, funding family start-ups, a party in Versailles — while the ex-CEO awaits his trial and protests his innocence. How does the saga end? Judging by Japan’s terrifyingly high conviction rate of 99 per cent, the odds are increasingly stacked against Ghosn. 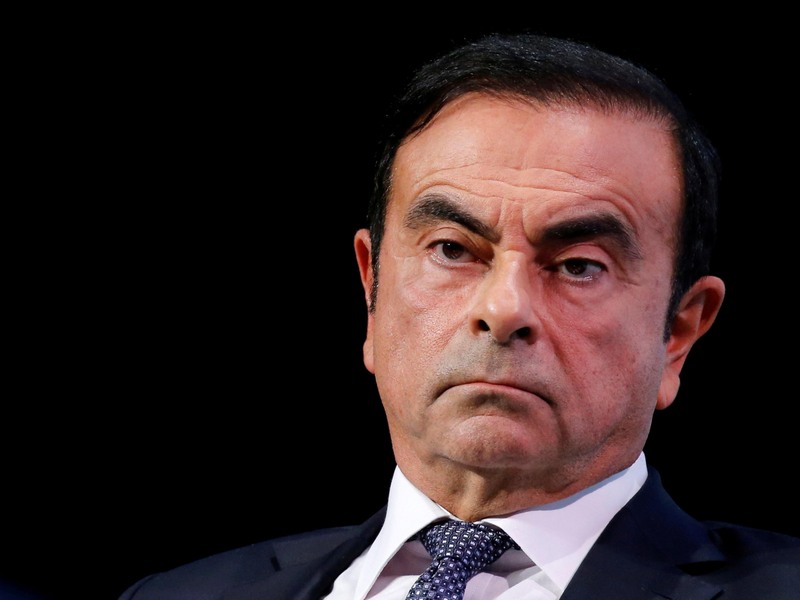 The Japanese are still digging up fresh allegations, and building up their case: Ghosn dismissed as “outrageous and arbitrary” his re-arrest on Thursday on allegations that he used millions of dollars from Nissan for his own purposes. The French state — which owns 15 per cent of Renault — has been far more protective of Renault’s interests than Ghosn’s, meekly protesting against the conditions of his imprisonment. French Economy Minister Bruno Le Maire says Ghosn is like “any other person facing the justice system”. But for all the talk of due process, there is obviously a fair bit of political expediency and corporate self-interest in hanging Ghosn out to dry. The case is being played out in the court of public opinion before even going to trial, and the former CEO does not cut a sympathetic figure: Wealthy, powerful, pampered and clearly not very humble. Emmanuel Macron, under fire from angry French street protesters for being a “president of the rich”, was never going to defend Ghosn with great enthusiasm. Renault and Nissan, mindful of their plan to boost revenues by a third by 2022, have an obvious desire to avoid reputational and legal risk and so have joined forces to investigate allegations of misconduct against Ghosn. The corporate governance structure and boards of Renault-Nissan surely played their part in letting Ghosn get away with a good chunk of his imperious behaviour. For over a decade, he was Chairman and CEO of each of Renault, Nissan, and the Netherlands-based alliance structure that united the two. The French government, through its stake, allowed him to stay in the top role for too long. His downfall may be a catalyst for positive changes: Renault’s new boss, Jean-Dominique Senard, is said to be considering replacing at least two members of the carmaker’s board to make it less of a rubber-stamp operation, according to Bloomberg News. But this is too little, and too late. However this story ends, it’s a savage indictment of both corporate excess and the mishmash of state interests that supported Ghosn and allowed him free reign at the world’s biggest automaker. French-style capitalism, lopsided partnerships and Japanese justice have left Renault-Nissan looking weaker than ever.